Lola rennt (1998) spannender Film der sich in der tollen Stadt Berlin abspielt! "Jeden Tag, jede Sekunde triffst Du eine Entscheidung, die Dein Leben verändern kann." Plot: A young woman in Germany has 20 minutes to find and bring 100,000 Deutschmarks to her boyfriend before he robs a supermarket. It may sound strange, but the film is twenty-minutes long. Well, not really, but it is in context. Tykwer focuses on the twenty-minutes that Lola has, and shows that twenty-minutes three times over, each time with small differences will affect the outcome of the characters. The danger with this kind of technique is that it can threaten to be repetitive. 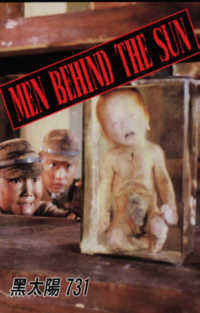 However, the new additions added by Tykwer are very clever and link in perfectly, which will have you gasping for more. Der Film ist im Kasten, Ende im Gelände, Aus ist die Maus, es ist vollbracht. Hollow Point he movie has everything a movie needs, a story, gags, action and something like a happy end. Stuff that probably doesnt belong on the main page, and possibly not on Sensei's Library. tderz: I've seen that movie in the eighties at the Berlin Film festival. I went there with Chinese friends (also Go players) and still I cannot remember any reference to Go. This must be due to its intenseness in showing torture, murder, atrocities and other appaling experiments. Of all the public - of the biggest movie theater (at that time), perhaps taking 2000 visitors (it was completely full) - half went out. I guess, they could not take it anymore. 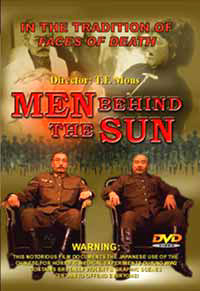 Google search "Hei tai yang 731"
Google search "Men behind the Sun"
Interesting to now in comparision, that there was the Nuremberg trial and Mengele could "escape" to South-America (only) after having passed on his secrets to the "Intelligence" of the USA. The Japanese comparable Japanese colonel Shiro Ishii could stay in Japan, no trial (correction: no conviction? ; however, I do not see his name on the list of accused persons) (of course the unit had to pass on the "valuable" experimental data as well ). Trial Thirty people were brought to trial by an Allied War Crimes Tribunal in Yokohama, Japan, on March 11, 1948. Charges included vivisection and wrongful removal of body parts; 23 were found guilty of various charges. Five of the guilty were sentenced to death. None of the death sentences was carried out. By 1958, all those convicted were free. The Soviet Union also held trials. Sentences there were carried out. War Crimes Trial High-level Japanese war criminals were tried by the International Military Tribunal for the Far East. The prosecution team was made up of justices from eleven Allied nations: Australia, Canada, China, France, Great Britain, India, the Netherlands, New Zealand, the Philippines, the Soviet Union and the United States of America. The Tokyo trial lasted two and a half years, from May 1946 to November 1948. The principle charges were making aggressive war and allowing atrocities against POWs and civilians. (...) ''"
So far for (some) reasons why Japanese "schoolbook" affairs ("we (JP) were visiting some countries") result in high waves in China. (while gloryfing mass murder some centuries ago - and I do not mean the buffalos). Honestly, I don't care whether there was a reference to Go in this movie, but now that it has been mentioned ... I know it.